I’d like for a button or some widget that will set the “Extract to:” field to be the location of the archive. It seems that quite often I want the archive to be extracted somewhere close to where it is, so it would be nice to have an easy way to start there. You can add “Extract here” (current location of the archive). Is that what you want, or something else? this is in main PA window or where exactly? Here’s a screenshot showing the 2 options in Config which you can use to have the Extract button point directly to the folder of the archive or automatically create a subfolder in the same folder as the archive. having a button that does this would be fine too… just to see where exactly. Sorry for the late reply - I had my forum email set incorrectly, so I was unaware of any posts to this thread. I think that Mili’s suggestion will suit me fine for the most part (my config was set to “Extract to last folder”). 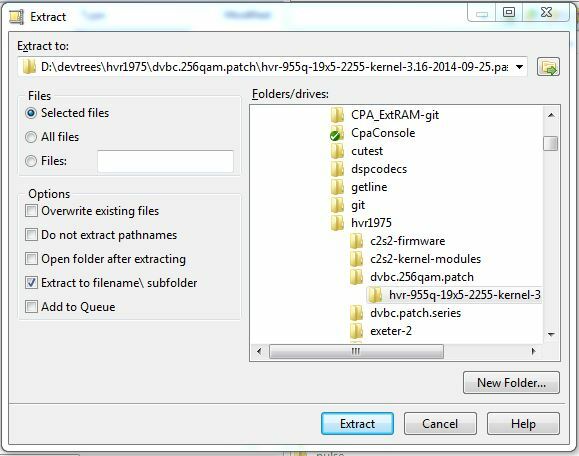 In this case (with my previous setting of “Extract to last folder”) the path in the Extract to dialog has nothing to do with the currently open archive, and there is no easy way to get to where the current archive happens to be - I’d have to navigate the Folders/drives tree or copy/paste the path into the “Extract to:” field. It would be nice to press a button to have the"Extract to:" field set to the archive’s path (and sync the Folder/drives: widget). However, with Mili’s suggestion, I’m not sure this is really needed. how about offering it as option on location dropdown? That seems pretty reasonable I think….